If you long for a peaceful and serene experience away from the hustle and chaos of regular city life then fishing and camping should be on your vacation things-to-do checklist. Activities like camping and fishing can be a great way to bond with your friends or family and work as a team. I’ve listed down my pick of places to camp and go fishing in Morocco, plus an essential guide to camping and fishing. . Camping is more than just setting up shelter under the sky and surviving in the wilderness for a few days. It is a fun packed, adventurous and wholesome experience which connects you to nature away from the monochromatic monotonous routine. 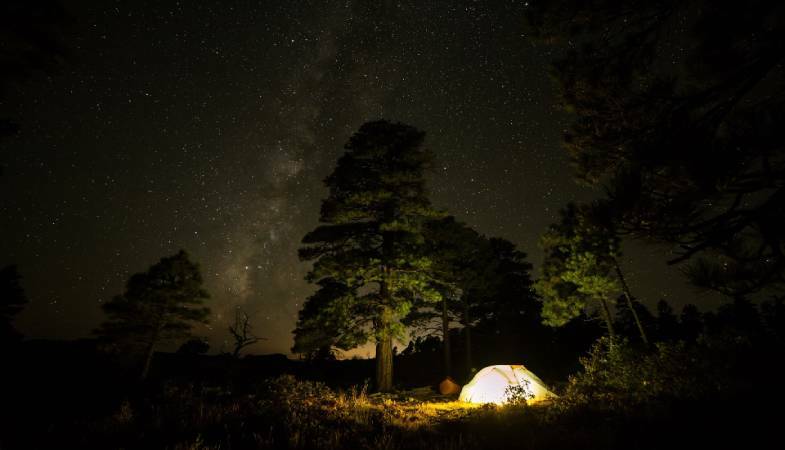 There are endless exciting activities and fun things to do while camping which can guarantee a good camp time, such as stargazing, bonfire, fishing, hiking and swimming. As tempting as it might seem, do not limit yourself to the enchanting Sahara night sky while camping in Merzouga. Explore other attractions that Merzouga offers such as the Galerie Laoun; a private art gallery. The Merzouga Lake, Camel Ride and a quad biking in the Sahara desert. There are a number of spots that are well equipped along the Atlantic coast. Although the prices vary depending on the availability of different facilities on the campground, generally the campgrounds are not so costly and relatively affordable. Western Sahara is a favorable campsite that is not so far from Marrakech (almost a 2.5 hours ride). 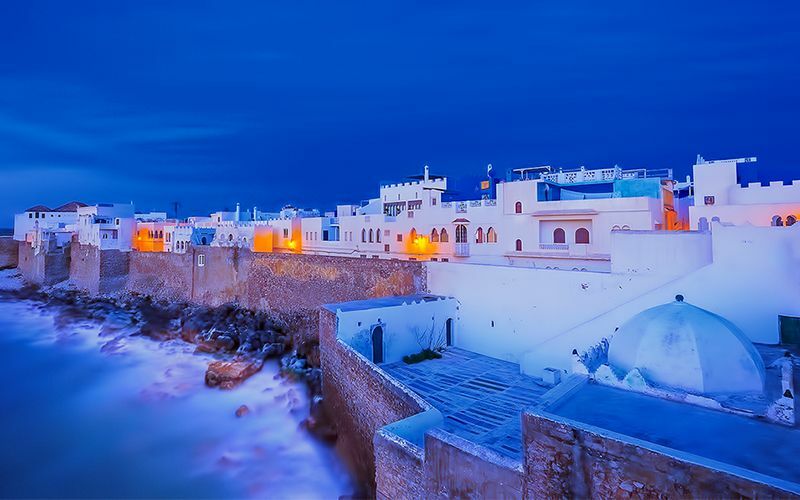 While there you can enjoy a Berber night at desert with the local people. Additional fun activities to do while camping are sandboarding and camel trekking. 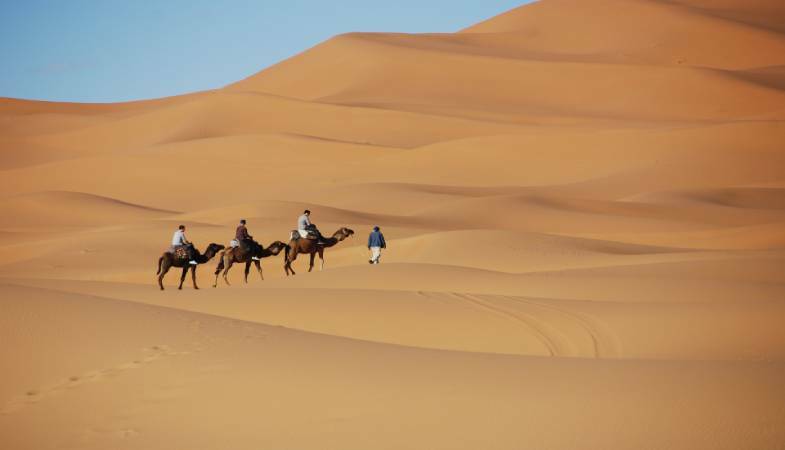 A couple notable places that are worth visiting for a desert experience are Merzouga and Zagora. After an audacious and lively day of trekking in the Rif Mountain be prepared to camp and relax for the night on the rocky base of this high mountain offering perfect views at dawn. Talassemtane village is a good place for camping, there is an official campsite there. Ourika camp side is located 10km south of Marrakech, it is a well maintained camp-side and it costs around $10 per day. If you are tight on budget , you can arrange your own tents instead of booking through a camping company. 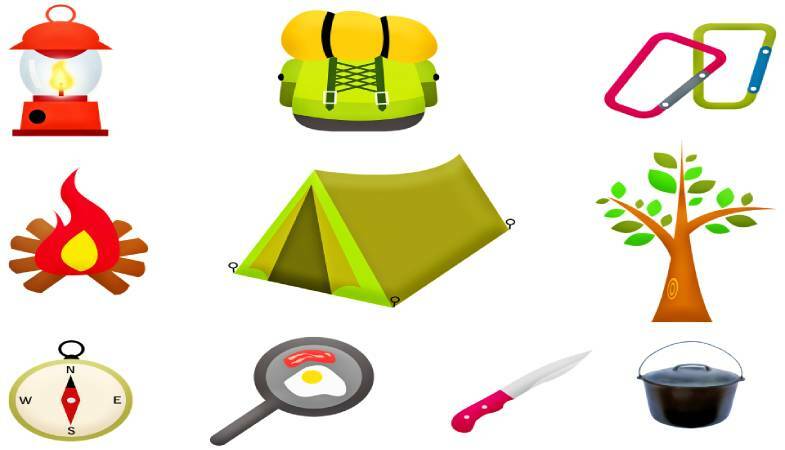 Go through our checklist of camping essentials to make sure you don’t miss out on anything that might result in an unpleasant camping experience. Invest in a good quality tent especially if you are a regular camper. There are a variety of tents available in the market for. Some of the most commonly used shelter tents for camping are; Canvas tent, Cold weather and Survival Tents. You can also opt for a Hammock survival tent, whatever you feel comfortable with and within your budget. Always carry a sleeping bag with you while camping, regardless of it being summer or winter. It gets cold outside during the night even in summers. So, It is best to be prepared beforehand instead of being uncomfortable and looking for layers in the middle of the night. Always keep a set of lightweight waterproof layer of clothes with you just in case it starts to rain. Besides this, lightweight layers of clothing that covers maximum skin should be used to prevent bug bites. It is recommended that you keep with you essential toiletries such as tissue rolls, soap, toothpaste and toothbrush…etc. Water bricks are ideal for camping. These are easy to stack and each brick can carry approximately 3.5 gallons of water. You can opt for disposable paper utensils or re-usable plastic utensils. Do not forget to stock on plates, cups, bowls, spoons, fork and knife. It is important to consider all aspects of camping outside of your comfort zone, especially if you are a newbie. - Always prefer an established campsite. - Know the rules and regulations of the campsite. - Check for facilities such as toilets and water supply nearby. 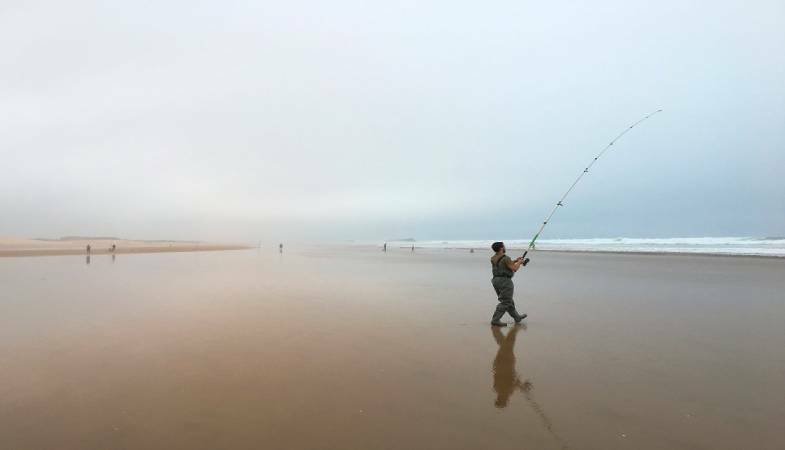 It can be surprising for many that despite being dessert country, fishing is very popular among people in Morocco and a major source of income for locals. One of the things to do while camping is to go fishing early morning and experience the beautiful dawn and dusk. There are a number of lakes and inland rivers for people to choose from. The fishing season generally starts from May and extends till June. 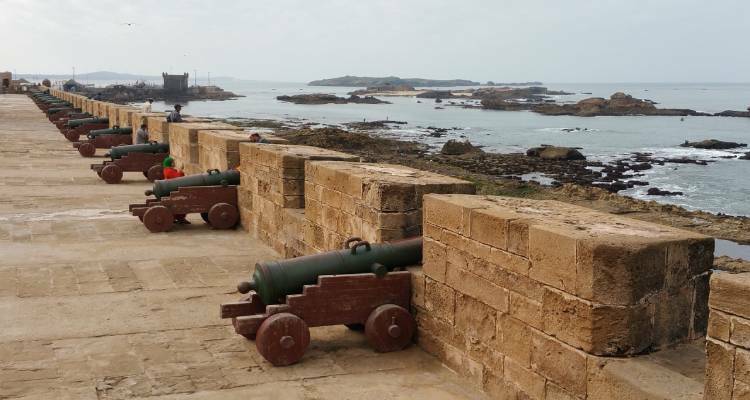 Enjoy fishing in deep sea along with other attractions such as scuba diving and surfing being offered at Essaouira. Though slightly expensive, the shore at this sandy beach holds a variety of small and large fish. Visitors can sit down to eat and enjoy fresh BBQ with a variety of fish to satisfy their taste buds. This lake holds very big carp as well as Pike, Roach, Zander, Tench and Black Bass. If this wasn’t motivating enough then let me tell you that there are packages that offer tent, complete fishing equipment plus meals and even a boat to make your experience worthwhile and most fulfilling. Ifrane offers a set of invigorating activities besides fishing. Not in a mood to hike or trek? How about a horseback ride? Yes, you read it right, besides fishing and other things to do while camping Ifrane offers cedar forests to be explored, an Atv ride or a mountain bike to delve into numerous lakes there. During cold winter visitors get to even experience ice skiing as well. Here is a checklist for essential fishing gears that are useful for both pro and beginners. Fishing rods are classified according to their power (strength), by their responsiveness, by flexibility and taper. For beginners, it's recommended that they go for a medium strength rod. Ideally, the length of your fishing rod should by 30 cm. Buy assorted fish hooks to target a different variety of fish. The hooks poke the fish in their mouth when the fish latches on to bait. There are a variety of hooks available, a few of which are; single, circle, treble and double. Sinkers will help your hook and line to sink deep into the water. Swivels will connect the bait and your line. It will let the bait move freely (in case of live baits). Baits are used to lure the fish to grasp onto a hook. Generally, live baits such as worms are preferred but you can also opt for hard baits or soft plastic baits. You’ll need a tackle box to organize, store and as the name suggests tackle your fishing gear such as hooks, lures sinkers and other small stuff that might get lost otherwise. Nothing is more stimulating and exhilarating than a camping and fishing vacation to help you sync with Nature. Camping is the perfect activity to clear your mind from everyday stress. Be it campfire songs, silly games or the satisfaction of your catch while fishing, let your imagination run wild and plan that camping trip you’ve been delaying for far too long!